﻿ New year, new windows: How can new windows make your home better? New year, new windows: How can new windows make your home better? If youâ€™ve spent the past year trying to open a window that is jammed shut (without pulling too hard and breaking it, of course! ), cleaning around the edges of windows that become clouded with condensation or investing in slightly thicker curtains to prevent the draft coming into your house through any mis-fittings or fixtures, then it looks like you may be in need of new windows for 2018! While new windows are a large investment that can indeed come in place of a family holiday or other large purchase, there are a number of ways in which new windows can improve your home. Whatâ€™s more, if you choose a window manufacturer, supplier and installer like Windows and Door UK that focuses on quality and first-class products, then you can be sure you are making a sound investment that will improve your property. But how exactly can new windows make your home better? Installing new windows in your home will undoubtedly increase the value of your property. All properties nowadays should feature at least double-glazed windows and high-quality windows most definitely make for a higher property guide price. It is often the case that the previous owner of a property has had the windows installed, therefore, refreshing your windows in the New Year will allow you to have your own take on the property and a positive effect on the exterior. 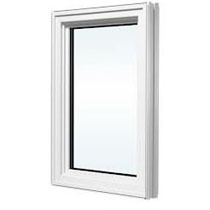 Not only will new windows that have been fitted correctly prevent any drafts and chills you may be getting through your original windows, more modern glass offers an increased energy efficiency. The combination of brand new windows, fitted correctly, will undoubtedly have a positive effect on your homeâ€™s energy efficiency. New windows will freshen up the exterior of your property and will undoubtedly make your home look smart and sophisticated. Newer windows will be easier maintain and, whatâ€™s more, you can opt for advanced glass that features self-cleaning components. Feel free to browse our website for any windows you may be interested in. 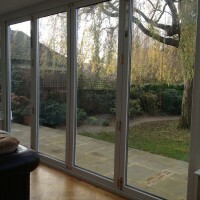 Please feel free to contact us at Windows and Doors UK and weâ€™ll help as best we can.